Landscaping Services Tucson, AZ | Sonoran Gardens Inc.
Sonoran Gardens, a Tucson custom landscape design, construction and custom care landscape maintenance firm, specializes in design and building extraordinary outdoor living spaces for our clients. Since 1997, we’ve created hundreds of environments as individual as our clients, always working closely with each homeowner to create their ideal backyard entertainment area, all within their budget requirements. Below is a brief list of the services that we offer at Sonoran Gardens. Please contact us today for a LANDSCAPE CONSULTATION at 520-579-9411 to learn how we can transform your backyard into a truly amazing outdoor living space that is an extension of the inside of your home. Residential Landscape Design and Installation Services. Our professional educated and trained landscape designers can create a custom design that is an extension of your lifestyle and is within your budget. We can also create a master plan, so that we can install your project in phases over time as your budget permits. From a simple desert garden to an elaborate outdoor living space we can design and build a project that matches your home’s personality, as well as yours. The pleasure you’ll feel each day when see and use your new outdoor spaces will bring new meaning to your home. Our careful selection of desert adapted plant material and use of water efficient irrigation systems lay the foundation for your low water use landscape. We can also incorporate rain water harvesting to insure that you and your plants are getting maximum use of any rain that falls. View a gallery of our water efficient landscapes. Constructed of flagstone, concrete, brick or pavers patios are the foundation for an outdoor living space and are a true extension of your home that allow you and your guests to enjoy Arizona’s beautiful climate. View a gallery of our patios and walkways. Both functional and decorative walls and fences define the boundaries of your outdoor living space and create a private, secure environment. Gates can be a very simple entry into a service area or a work of art that says welcome to my home. View a gallery of our walls, fences, and gates. A simple counter and grill or a fully equipped kitchen and bar this becomes the focal point for entertaining family and friends. View a gallery of our outdoor kitchens and barbecues. There is nothing like the sound of running water on a hot summer day in the desert. We can create a custom feature just for your home or install a ready made fountain that you select with your designer. View a gallery of our water features. A great way to add ambiance to your outdoor living space on a cool evening. It can be a simple fire bowl that creates a dramatic design element or a fireplace that creates a focal point for an outdoor seating area. View a gallery of our fire features. Some shade in the summer and protection from the elements. A great way to help you and your guests enjoy your outdoor entertaining space year round. View a gallery of our ramadas and roofs. A great way to add some character to a flat yard and also provide a naturalistic back drop to a desert planting. A place for the kids or pets to play. We use grasses specially selected for the desert southwest and install low flow irrigation systems that insure that the water for your lawn is applied as efficiently as possible. 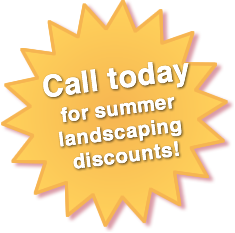 Sonoran Gardens Definition of Landscape Maintenance – click here for more details on how Sonoran Gardens can keep your outdoor living spaces beautiful all year long with our Custom Care Landscape Maintenance program.